Find here Choetech coupons, vouchers and deals. Choetech is a fast-growing brand from China. We produce great products such as wireless chargers, which is mentioned by some famous media like CNET, Macrumors. 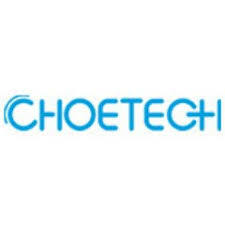 CHOETECH was founded in 2013, integrating R&D, sales and service of Wireless Chargers, High Tech USB Cables&Chargers, USB 3.0 & USB C PD connectivity devices, digital AV products ect.. We specialized in 3C products, namely products related to Computer, Communication and Consumer Electronics. Brand “CHOETECH” was registered in United States Patent and Trademark Office. Shenzhen Jiexun Technology Co., Ltd, is a company which sells many kinds of high quality electronic products, including mobile and PC accessories like wireless chargers, USB chargers, mobile cables, digital AV products and more.